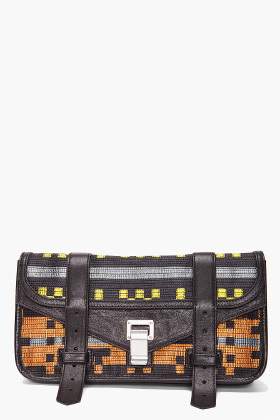 The PS1 pouchette is just a really good everyday clutch in a fun tribal print. 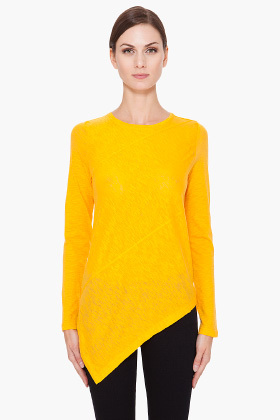 The t-shirt is a slash of colour (and a colour that I don't own in my closet...yet). The McQ dress does not require any excuse or explanation...it's just WOW! And I really didn't want to chose between the tow pairs of Lanvin heels, it's just pure torture!!! I'd say you'll get more wear out of the black one in montreal (let's face it, the cold weather, although warm this year is not a BFF to open toes).